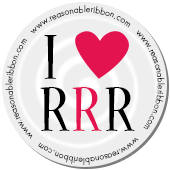 Really Reasonable Ribbon Blog: I'm Nuts! The leaves are falling here, and all the squirrels are carrying things in their chubby little cheeks. 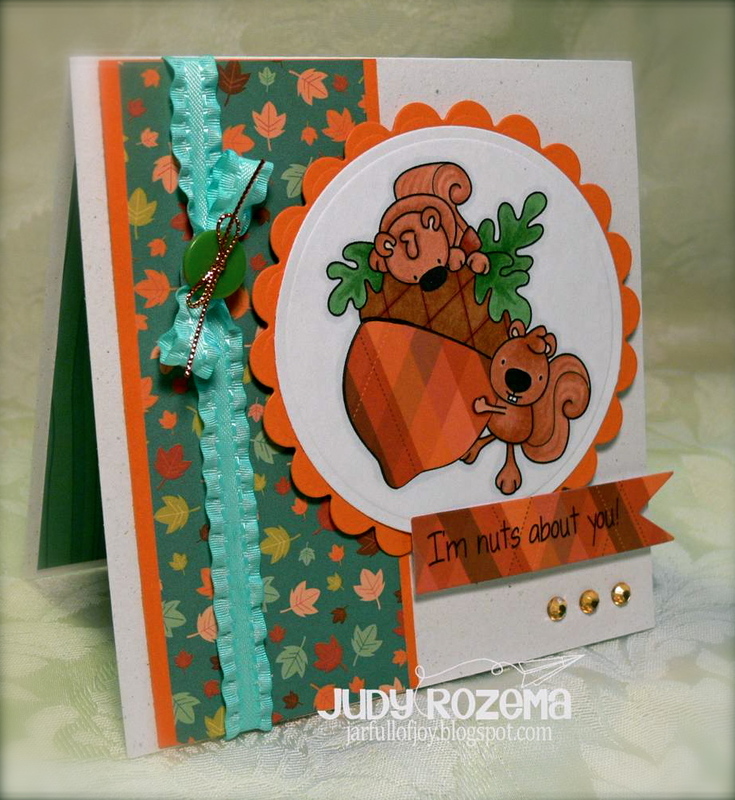 This adorable new release from Whimsie Doodles, Nuts About You, is perfect for our fall weather! I love that this image can easily be suited for a masculine or feminine greeting! The main image is printed on Georgia Pacific CS and then colored with Copics. I paper pieced the acorn and then used the same paper (Cosmo Cricket Nutmeg) for the sentiment. My ribbon is Really Reasonable Ribbon's Aqua Satin Double Ruffled Ribbon - one of my favorites! A little bling and my two nutty squirrels are ready for the mail!